Fan Sign of the Year? Freaking love it. So good. 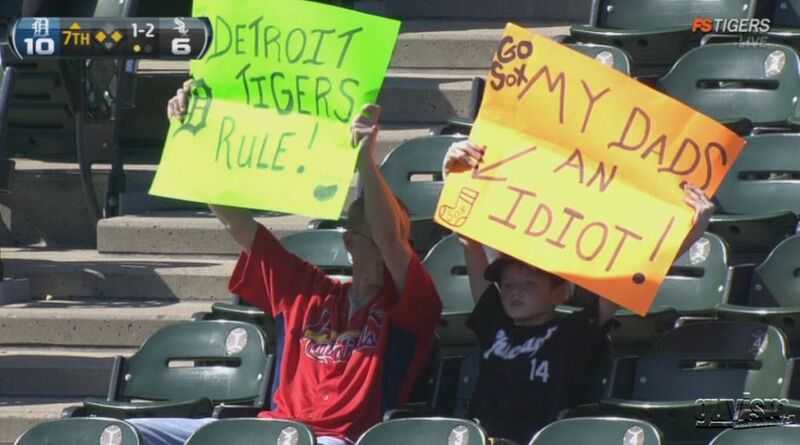 Not sure why the idiot is wearing a Cardinals jersey though. This entry was posted in Baseball, MLB and tagged fan sign, my dad's an idiot fan sign. Bookmark the permalink.